Hay! 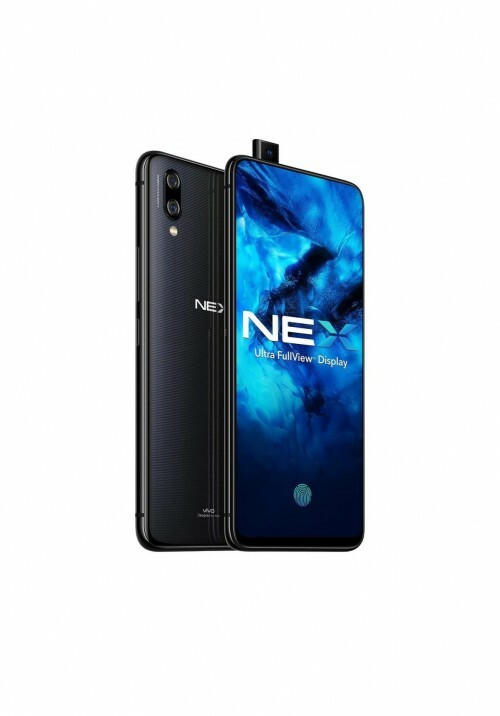 here is the list of Latest/Newly Launched Smartphones in India, Newly listed Vivo NEX. Smartphones here, are of top brands too! so you don’t have to be worried about brands. Also get our opinions and suggestions for them. Note: This List will be updated whenever any reliable Company launches a new Smartphone. Vivo NEX- The Revolution of Display, Security, Power and Design, A long waited Smartphone by Vivo has Finally Launched with In-Display Fingerprint Scanning Technology, It just display in front no Ancient bezels and also they Said good by to Notch which was also a new revolution. It has Front Motorized Camera which slides up as soon as require it, Vivo NEX is powered by the latest Legend Snapdragon 845 chipset, Also it can give long lasting Power with a 4000 mAh battery. This could be the first phone which have Revolutionary cooling system for the easy long usability. It has dual camera with Sony Sensor to provide the clearest image possible. It also has 3.5 mm Headphone jack which is rare nowadays! It has amazing Dotted design at the back which actually look kinda cool! I have to say, If you can Afford must it go for it. Because it is literally eye catching and a revolution over smartphone technology. Oppo Find X (A Completely New Thing)- This is literally “A Visual Revolution” it is the world’s first panoramic designed phone ‘A Design Never Before’ Its just screen visible nothing else no Notch no Bezels. It has Stealth 3D Hidden yet Sliding Pop-up Cameras When you want them they pops up sliding, Its Instant 3D Face Recognition works perfectly even with Motorized Pop up cameras! It has AI-enhanced 3D Camera which detects and analyzes features to naturally personalize your selfies, It also has 3D lightning Technique for awesome Portraits. Oppo Find X Powered by the Powerful Snapdragon 845 and 8 GB RAM. Know More in Oppo Web Presentation! No 64 GB Internal Storage- They could have provided 64 GB option, Most people don’t wanna Opt with storage more than 64 GB as for them more storage would be use less. Asus ZenFone 5Z- After a long time Asus has launched ZenFone 5 series smartphone the ZenFone 5Z which comes with awesome stylish design which looks super premium and truly a piece of Art! It is Powered by the most powerful chipset by Snapdragon, Snapdragon 845. It has a 12 MP Sony IMX363 flagship Camera Sensor which comes with features like, Optical Image Stabilization, Electronic Image Stabilization, 4K Video Recording, and can capture images with resolution up to 48 M ,which is unique. It has a 6.2 inch Full HD+ All-screen display. It comes with Face and Fingerprint unlock system. Here we did not include ‘Things You may not like about this Smartphone’ as we didn’t found anything bad about this phone yet. Final Opinion- This phone is absolutely amazing in almost all segments, if you wanna buy a powerful smartphone sleek metallic design, then surely go for it, This is AWESOME! Aspect ratio display Samsung call it ‘Infinity display’ which is a bit odd size, as 18:9 is quite common nowadays. J8 also has Dual camera setup at the back, It comes with face recognition so it will be easy for you to unlock the phone with just a look. It has dual Camera setup at the back- 16 MP (f/1.7) + 5 MP (f/1.9), autofocus, Front camera- 16 MP, f/1.9, with LED flash. Plastic body– Nowadays almost all brands even cheap ones put metal body in their smartphones but Samsung being that big skipped that. Just a 720p Display– This could be nitpicking, some people may ignore this, but this phone just has a 720p display even though the price is almost 19k which is mid-range so atleast there should be a 1080p display as almost all brands opts for 1080p or display or more at this price range. No Screen Protection- We are not very sure whether it has screen protection or not the Company hasn’t specified anywhere about the Screen protection on this device. If it does not have than it is disappointing because it’s a mid range device. Lack of Sensors- Still Samsung lacks in Sensors, if we compare it with Redmi Note 5 Pro which is priced at around 15k has more Sensors than this Galaxy J8 smartphone. Snapdragon 450 Chipset- SD 450 is not a old Chipset but for this price it is sort of useless, Samsung could have gone better and provide SD 600+ series chipset. If you want to spend 18k on a phone I would suggest go with other brands they will provide more for that price or maybe with less price compare to this Samsung Galaxy J8. But if you are Fanboy Go ahead!